She is the much loved and spoilt ninth princess of Xi Liang country. 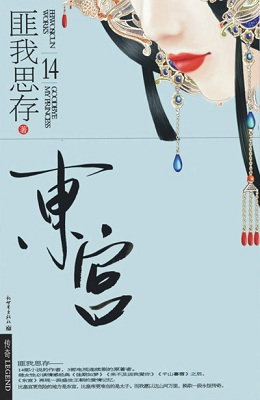 She embarked on the road to Central Plains (Zhongyuan) for an arranged marriage. He is the almighty and powerful crown prince. Because of a political marriage, he is forced to marry a foreign princess. He has his own beloved concubine, Zhao Liang Di. She has her own life, escaping from the palace to ride horse, disguising as a young man, chasing thieves, sending lost children home and drinking wine. Initially, their lives are like two parallel lines, never intersecting. However, the fight for power and position in the eastern palace, endless gossip, and hidden murderous intentions lead her to get involved step-by-step. He beheaded the white-eyed wolf king in Tian Gen mountain for her sake. They held a grand wedding on the prairie. River of Forgetfulness, to forget a love. When her memory returned, how should she choose?